Something that everyone struggles with are “blocks.” Maybe it’s procrastination for that next exam. Or maybe it’s the comfort of bed instead of the treadmill. Whether it is mental or physical, there are those times where one just doesn’t want to do whatever it is that needs doing. In other words, there is a lack of motivation. So maybe it’s the joy your parents would feel by seeing a good grade, or the elation you would have at obtaining that tone body, that motivates you to accomplish that ever elusive goal. Motivation, like those “blocks,” is always present; you just need that initial push to really get going. And Aldnoah.Zero 2nd Season is a prime example for when such motivation is sorely lacking. Zero Two (the moniker to be used) takes place several months after the conclusion of the first season. 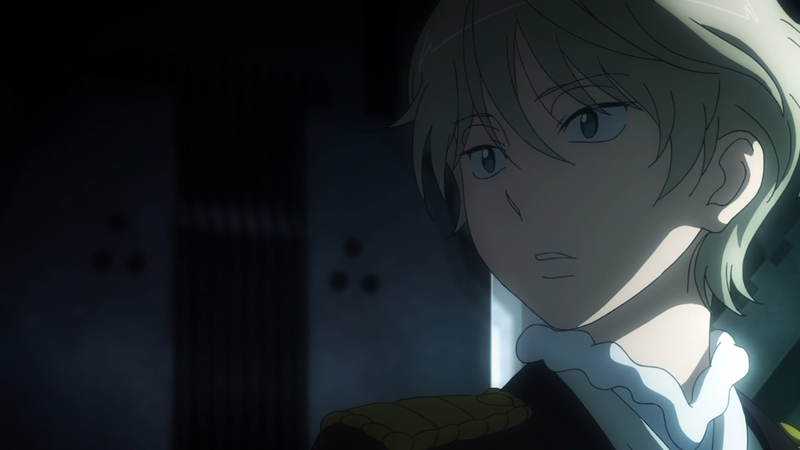 Inaho has miraculously survived, Slaine has climbed the Vers’ ranks, and Asseylum is currently in a coma. Irrespective of their situations, war continues. What Zero Two, like its predecessor, mostly focuses on is the action that permeates much of the show. The space battles, the cool robots, the random technology; it’s an anime that is entertainment first and purpose second. And for the most part, the anime gets this right. While everyone outside of Inaho is fodder or useless, the range of scenarios that the action encapsulates are wide and varied. Whether it be taking down a Kataphrakt from the Earth’s orbit or using a multi-lock-on system to eliminate the enemy in a solitary strike, Zero Two is always looking to switch up the formula in order to keep the show both refreshing and fun. There are always two issues that persist through all of the fights, though: Inaho and his robotic eye. Inaho is a “Gary Stu:” he’s infallible, un-killable, and nonnegotiable when it comes to battle. He never has any problems dealing with the enemy (a reason that is never really explained) and thus the skirmishes follow the same pattern and predictability: good guys are losing, Inaho devises plan, and Inaho wins. These repeated events occur at an even higher probability due to his newfound eyeball. 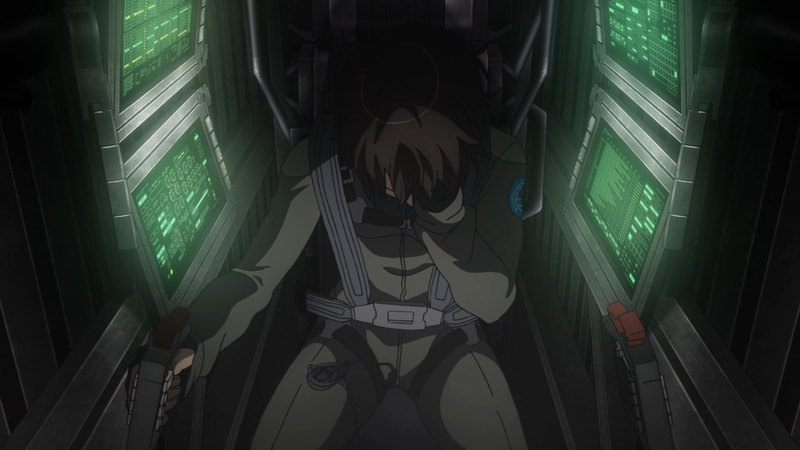 Acting as a sort of supercomputer, Inaho’s already unfair level of tactical skills is amplified by his trusty ocular, making what goes down between Inaho and the enemy seem more like hide-and-seek rather than war. There is another problem that persists, but not between the battles but instead between the seasons. And that is Zero Two’s inability to properly utilize the very assets that it holds. The show has a lot of material to work with outside of the war, the main cast — Inaho, Slaine, and Asseylum — and the overarching plot. But it doesn’t use any of it for some baffling reason. In fact, it even introduces new facets that go unused. 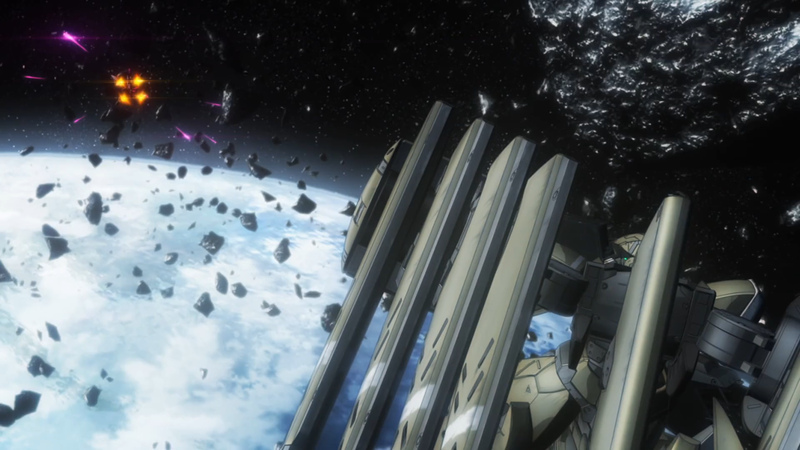 Some easy examples include: Rayet and Marito’s backstories, perceptions, and ideas; Inko and Magbaredge’s role in the grander scheme of things; the political subterfuge that exists within both the Earth government and Vers Empire; Lemrina’s and Maazurek’s overall influence on the people that they were connected to; and Yuki’s and Harklight’s relationship with the person they were “protecting.” There’s a lot that is going on, mostly because there is a literal interplanetary space war happening in the background. And subsequently these myriad of relevant plot points are generated, and for good reason; they contain a breadth of potential that the anime can catapult off of. Yet, it never does: such elements stagnate and are sadly wasted by the time the anime finishes. But when the dust settles and the eggs are counted, Zero Two does contain some semblance of theme. Like the introduction stated, motivation is a factor that is omnipresent; it’s the kind of “entity” that allows someone to do or not do an action based upon the amount given. And for our main trio, this idea is displayed nicely enough. 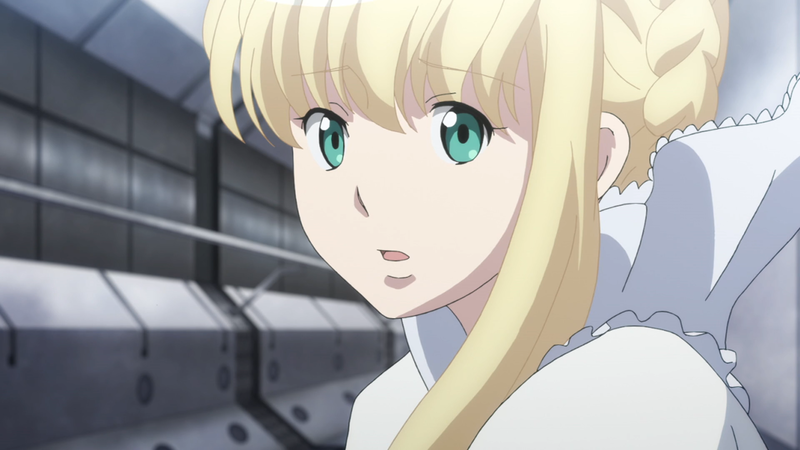 Inaho is wholly guided by Asseylum’s light, and wants nothing more than to make her wishes come true; Slaine’s motivation is at first Asseylum’s protection but devolves into a thirst for power; and Asseylum herself discovers through the actions of these two boys that the brokered peace that she had always dreamed about was within her grasp. And this kind of thinking, that motivation takes on multiple forms, is manifest in all parts of the show. The Martian fighters rally to fight for Slaine’s cause, Yuki and Inko look to support Inaho, and Lemrina is spurred on by Slaine — the only person who shared even a shred of caring for her. So, while the actual narrative is a package filled with unused goods, Zero Two’s motivational theme is tried and true. Zero Two’s art was often quite nice to look at. This is mainly due to the landscapes that the anime found itself in. There were grassy plains with overcast, arid deserts with relevant sand dunes, and dilapidated cities that harbored past transgressions. Alongside the art, the show does a nice job of keeping the choreography of the fights easy to follow due to nice use of the camera. The Kataphrakts’ abilities and the general dueling that occurred never felt overly difficult to read, making these bouts that much more exciting. The character designs for the anime are nothing too notable. It’s a “realistic” setting, so many of the characters are given realistic designs. Of note are Asseylum and Lemrina for their more stand-out dresses and hair styles. But beyond them, the rest of the cast is rather unimpressive, especially in comparison to the art. Actual animation for the show was normally about average. The anime heavily relied on CG, namely with the Katphrakts and the Deucalion. One becomes desensitized to the three-dimensional usage after a time, but when it isn’t showcasing this kind of animation, the rest is often static scenes with characters talking or lamenting. Zero Two places the majority of its bets on two separate couplings: Asseylum and Lemrina, and Inaho and Slaine. Looking at the pair of princesses, it’s not immediately obvious who the better of the two is. One was sidelined into a coma and contracted amnesia for three-fourths of the show, while the other saw insignificant progression in her emotional balance. These descriptions fit Asseylum and Lemrina, respectively. The former does nearly nothing for the entire season, with her only act of importance coming through in the way of a radio message. She sees no development, serves no purpose, and has no worth outside of her name. She literally becomes a tool to be used — for both sides of the war — whenever the plot sees fit to take her out of the drawer. It’s an unfortunate outcome that came to be because of her sister; Lemrina’s inclusion in the story is not only sudden, but a direct byproduct of Asseylum’s condition. For without the lovable, kindhearted girl, someone had to take her place. Therefore, the sibling does. But instead of being filled with good, Lemrina is filled with evil; her scorn of the position she’s in, her jealousy of the sister she has, and her feelings of loneliness stir within her the makings of a mentally unstable being. She often talks of the moon base as being “her home,” simply because it’s the only location where things have gone right for her. She’s accepted, her sister is gone, and Slaine is by her side. Yet, her home, like her character, explodes. By the anime’s end, while her characterization exists, she, like her sister, means nothing to the story outside of a few radio appearances. In other words, the two are bound both by blood and badness. The second pair is more of a seesaw than a level playing field. Inaho is the all-mighty warrior, the de facto champion of the Earth’s soldiers. He begins the season compliant of the higher-ups that are guiding their hand, simply engaging in feud after feud to much success. And while Inaho always manipulates the outcome of the fights in his and his comrades’ favor, there isn’t any manipulation of his actual character. He without a doubt plays the biggest part in regards to everything that goes down, but lacks in personal development. Which might just be a corner he was written into thanks to the writing; his unbeatable status, his ridiculously overpowered eye-friend, and nonexistent emotions make such growth impossible. He cannot be challenged and he cannot be affected; he’s as much a robot as the machine in his brain. This leads to the higher side of that seesaw. Slaine Troyard is a man with a mission, one that he will do anything he can to accomplish. Initially, this goal was to save Asseylum, to keep her safe. But it slowly morphs into something more sinister: the attainment of absolute power. And this progression in his character makes complete sense; his previous passiveness nearly caused him to lose that which was most dear to him. So, this season, he moves from being reactive to active. Slaine’s gall gradually grows, and as the people around him note, he no longer acts as a mere cub but as an unrelenting wolf. But as his ruthless behavior begins to amass, his unending bloodlust blinds him. Instead of caring for Asseylum, he cares only for the structure around her; he lies to her, deceives her, and undermines her, all for the sake of “keeping her safe.” Yet, his actions sacrifice everything that Asseylum not only held dear around her but also held dear in him. And when Slaine realizes the folly of his ways, it’s too late; he’s been saved, forced to atone for the sins he mistakenly created. A poetic end for a poetic character. The ED is also a strange beast. It is filled with background ambient effects to sound more space-like and mysterious, but drowned out by powerful vocals and more rambunctious drum playing. At the very least, the opening and ending choir-like singing is quite captivating. The rest of the OST contains specific pieces that are quite good, such as the lone female singer that follows along with the show’s signature beat — the one obtained from the previous season’s ED. Others definitely fit the mood for the show, too, such as the slow violins during the tense buildups. The tracks certainly sound like Hiroyuki Sawano composed them, but they don’t feel like his music. There isn’t anything from them that is truly memorable or standout, despite everything sounding so nice. As for voice-acting, the cast involved performed somewhere around average. Nobody involved was truly given the opportunity to shine, but Sora Amamiya as Princess Asseylum did a wonderful job capturing that innocently tender way of speaking. Part of the reason for watching this one, at all, was in wanting to see where the characters ended up. And upon seeing them all return, that wasn’t extremely off-putting. Sure, it’s completely implausible, but getting to watch the main three head toward a conclusion was going to be fun to see. “Was” is the keyword. For what was given wasn’t fun, it was lame. Not only is the final “duel” between Orange and Bat absolutely boring but Asseylum doesn’t even end up with either of them, and more specifically the obvious choice in Inaho. I’m a huge romance guy — it’s my favorite genre. So watching her marry some random boy — after having someone like Inaho chase after her, after giving him a beaded necklace from her, and after she starts to cry as she says, “I also think of you as a part of myself” — is quite infuriating. Maybe his eye mistranslated his feelings towards Asseylum or maybe her decision was circumstantial. But it’s clear from her and his actions that there was something between the two. And wouldn’t it have been an even better sign of peace between the two sides if a Terran and a Vers became betrothed instead? Goading people on then forcefully throwing the rug out from under them is not enjoyable; it’s frustrating. 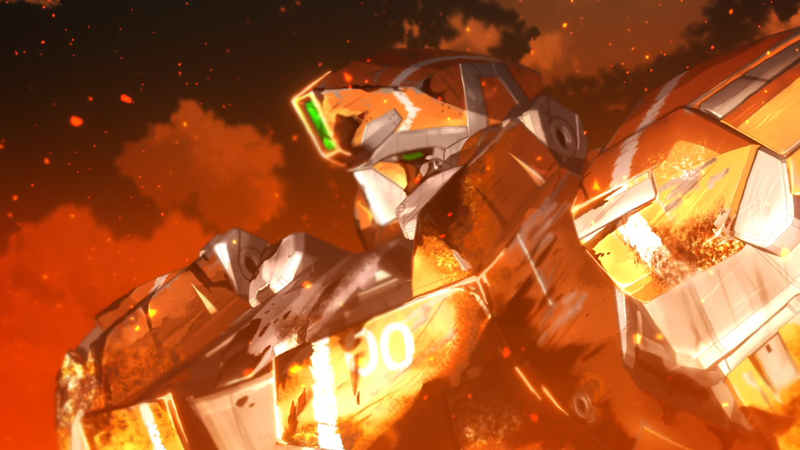 Aldnoah.Zero 2nd Season starts off precariously, seems promising throughout its run, but ultimately ends on a very sour note. The story is misshapen, the characters are shoddy, and the rest is lackluster. 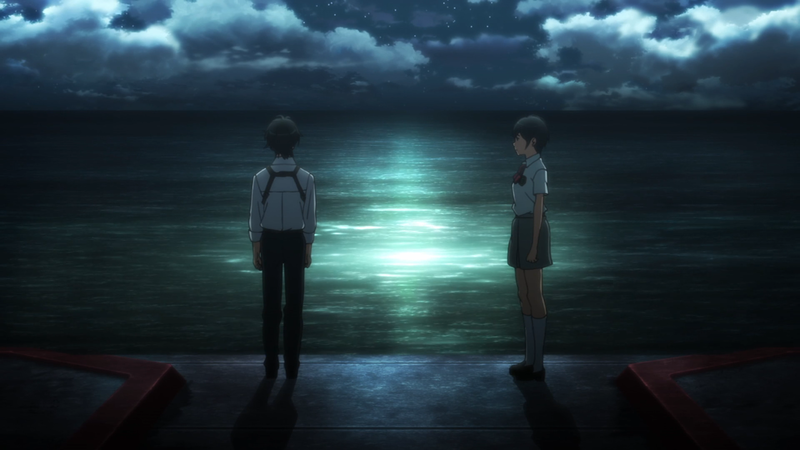 While Asseylum, Inaho, and Slaine may be smiling by the show’s end, I most certainly am not.